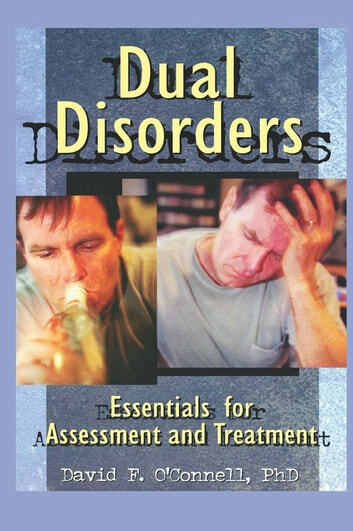 Dual Disorders: Essentials for Assessment and Treatment is a practical handbook for the assessment and clinical management of patients with addiction and psychiatric disorders. Addictions counselors, prevention specialists, and chemical dependency nurses will use this book to understand the nature of psychiatric disorders and uncover valuable guidelines on their treatment and management in the context of primary addictions treatment. It includes an introduction to the rationale and clinical approaches of cognitive therapy; a special section on psychiatric medications; and coverage of mood, anxiety, psychotic, cognitive, eating, and personality disorders. Unlike other books on this topic, Dual Disorders: Essentials for Assessment and Treatment is not a summary of research on dual diagnosis nor an overview of general programmatic considerations in treatment delivery. Rather, it is directed specifically to addictions counselors involved in the day-to-day treatment of dually diagnosed patients, providing detailed descriptions of the major psychiatric disorders as well as useful guidelines and treatment approaches.